Facebook is the largest and most important social media site out there, and it should be a focus of yours, no matter who you are. Some people may have moved on from it, but the reality is that over one billion people have profiles, so you need to have a presence. I've written about best practices and suggestions for Facebook quite a bit, but there's still more to say. Below are a few random tips for doing Facebook "right" that didn’t seem to fit into any other pieces I’ve written. Take them or leave them, but they can be helpful, so read through and decide which ones work for you and your fanbase. This might seem like odd cross promotion, but it’s a good idea. People love photos, and these days, social media is becoming more and more visual. If you want more reactions and interactions, add more pictures! Connecting your Instagram to your Facebook page is incredibly easy, and once you do so, you can decide which photos get uploaded to both platforms and which don’t. It’s instantaneous, which is great, because it does the work for you, and you’re creating content for both sites. Hashtags are a great way to be a part of an ongoing conversation with the masses on social media, but they don’t work well on Facebook. Believe it or not, adding a hashtag to your post can actually make people less likely to interact with whatever it is you’ve posted on Facebook, according to some research. Hashtags are important on certain platforms – namely Twitter and Instagram – but I’d suggest you stay away from writing anything with the # symbol on Facebook. This one isn’t a necessity, but I’m willing to bet it'll come in handy. As people become more and more reliant on social media for their daily communication, it ends up taking the place of more traditional means. I personally have run into situations where people are either more comfortable using Facebook Messenger or it is their only way of communicating with you. With over 800 million people using the free app, it might be time to download it if you haven't already. Again, you don’t need to do this, but it’s fun, and it could grab someone’s attention. I have seen only a few profiles that have made the switch, but it's definitely eye-grabbing, and anything that makes people remember your page is helpful, right? It isn’t tough either, so why not try it out and get some likes? Are you trying to form a relationship with someone you’re friends with on Facebook, like a fellow musician or a person who works in the industry? Be sure to like and comment on much of what they post, which will at least help them remember your name (probably). Facebook has a way for you to highlight certain people, and the program will ensure you don’t miss a single thing they say. Simply go to your "Settings" under the "More" tab, and then look at "News Feed Preferences." You can then mark a few people and start building friendships. There's a difference between fan pages and personal pages, and you need both, but for different reasons. The page that represents your musical endeavors should be a fan page, where you can collect an unlimited number of likes and where you can do other things that aren’t possible on personal pages. These days, people really don’t mind being directed to a Facebook page that's quite obviously created for this purpose, and just because it isn’t one where all of your "friends" are, that doesn’t mean you can’t continue to use it to interact with people. There's nothing worse than hitting a limit and asking people to like another page, confusing many of them in the process. 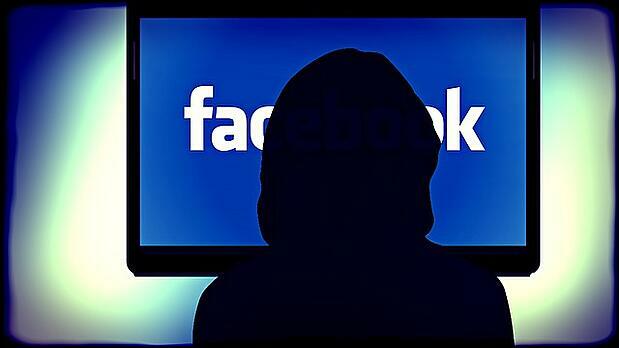 You probably already have a personal Facebook page, but make sure you don’t promote that one. It might sound rude, but you might get to a point where the network no longer allows you to add people if you hit a limit, and that can be problematic when you have people you’re very close to who can’t friend you. It’s important when you’re in the public eye (to any extent) to have at least some of your life be private.